For 5 years the East of the River Career Exposure Camp has introduced students to careers in Science, Technology, Engineering, Mathematics, and the Arts (S.T.E.A.M.) with a unique curriculum led by industry professionals. We are filing for our 501(c)3 status and we need your financial support to meet this goal. Join us for a night of celebration, networking, and fun. There will be refreshments, music, a silent auction, and a 50/50 raffle. Please RSVP and make your donation here! 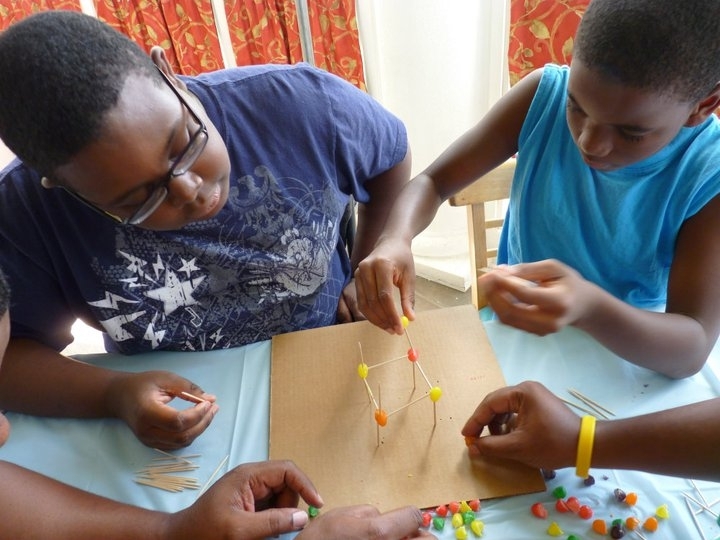 Camp students applying their knowledge to build a “jelly bean” tower. 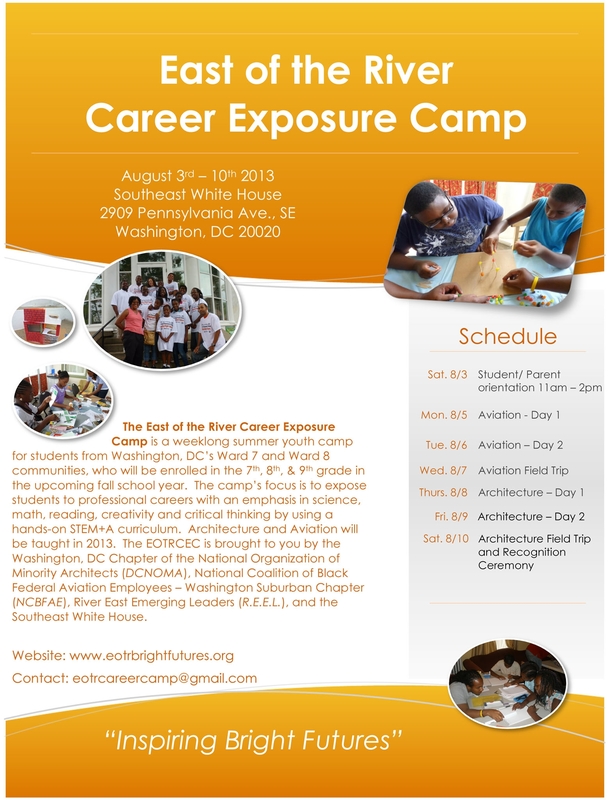 The East of the River Career Exposure Camp is now accepting applications for 20 students, who will be enrolled in the 7th, 8th and 9th grade in Fall 2013. The Camp’s purpose is to expose students to STEM + A careers with historically low minority participation. Students will experience a hands-on project based curriculum led by volunteer industry professionals. The camp will take place from August 5 to August 10 at the Southeast White House, 2909 Pennsylvania Avenue, S.E. Washington, D.C. 20020 from 8:30am to 3:30pm. The youth should reside in Ward 7 and Ward 8*, and will be exposed to professional careers with an emphasis in science, math, reading, creativity and critical thinking. Camp activities will include hands-on activities, group projects and group presentations. We also will have two group outings to reinforce their skills and knowledge . The Camp will also include career exploration and academic skills development. Students will be served breakfast and lunch, Monday to Saturday. You can download a registration form on the “Forms” website. Please email is to eotrcareercamp@gmail.com . 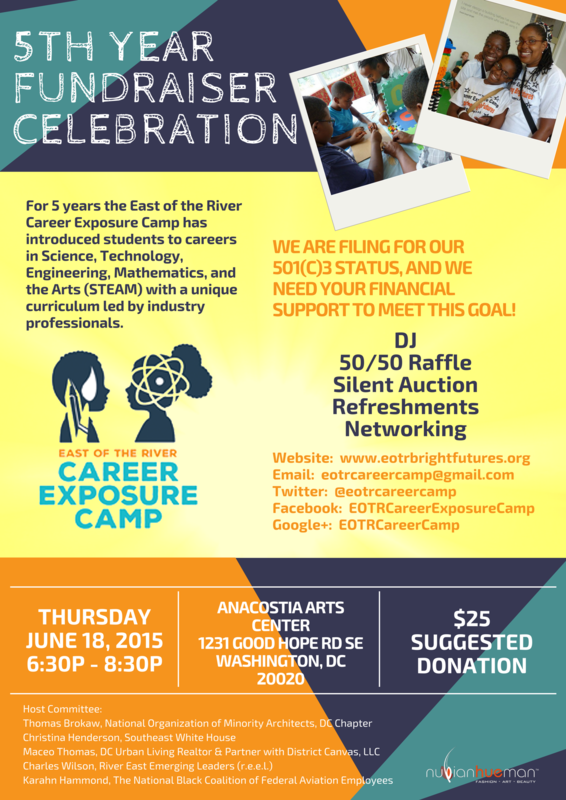 If you are interested in enrolling a student, please contact the Camp at eotrcareercamp@gmail.com. You can also call the Southeast White House at 202-581-0800. Please ask for Ms. Christina Henderson. *Students from Wards 7 & 8 have priority enrollment, but the Camp will consider applicants from Maryland and Virginia.